The Guardian is loosely inspired by the fairytale character: ‘Snow White’ and her connection to animals, The Guardian is a depiction of how I would wish for all humans to behave – to love, care for, and nurture every living creature. 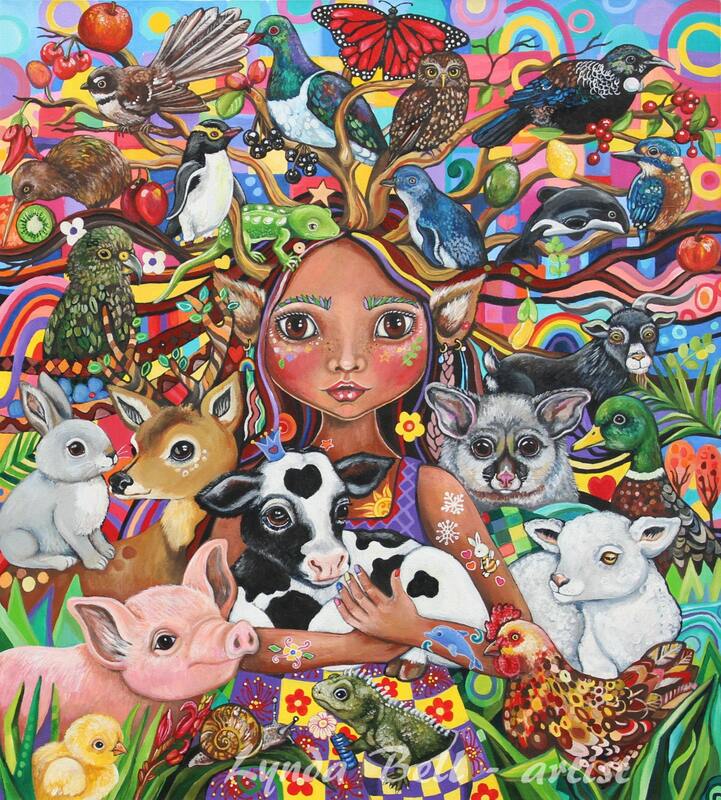 For this painting I concentrated on some of the animals who live in New Zealand – who are farmed, eaten, hunted and also those who are valued and protected. To me they all have lives worth treasuring and they all have a place here on Earth.